Among many uses of PowerPoint one of the most underrated one is project planning. PowerPoint can be used not only as a presentation tool but can even be useful in making project plans which may be presented to your colleagues or shared with them via email or cloud based services like SlideOnline. One of the most effective slides for making project plans can be Gantt charts or timelines, which can be quite easy to make using readymade templates. If you are looking for templates which can be used for project planning in PowerPoint, then you might find the following templates quite useful. The Creative Timeline PowerPoint Template is one of the most stunning three dimensional timeline templates that you are ever likely to find. 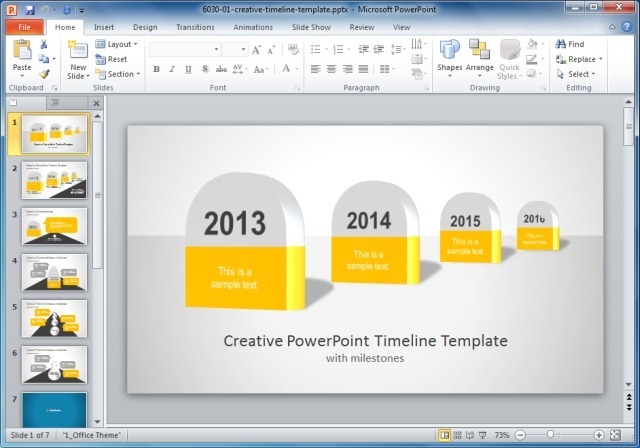 it provides a variety of sample slides that can be quickly edited to create timeline presentations and project plans in PowerPoint. This template is highly customizable and despite being a 3D template, it is amazingly easy to grasp and unobtrusive. Like other Slide Model templates, you can not only add your own content to each sample slide but also customize the various objects within this template to create a custom timeline or project plan with minimum effort. 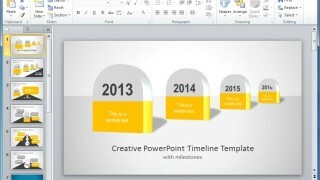 This is another timeline template which offers a clean timeline design for PowerPoint presentations. The template has quite a simple yet elaborate look, with down to earth graphics which are not only easy on the eyes but also provide a refreshing touch of clarity. This template makes good use of white space and a touch of blue and grey color which is not only visually appealing but also comes with clarity and depth, to help you drive the viewer’s attention into a 2D environment, for presenting your ideas and plans. You can also edit the various objects in this template to change the look and feel of the slides and to customize the layout to match your needs. 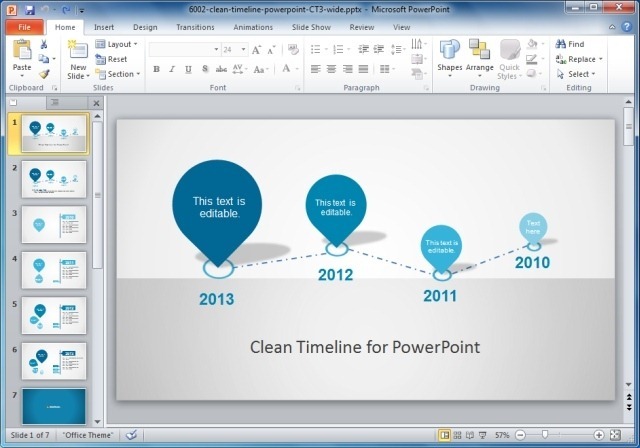 Whether you require making timeline presentations or wish to create project plans in PowerPoint, the Clean Timeline PowerPoint Template can help you create slides which can be perfect for professional presentations and can even be used as basic project guidelines for official use. This is a template for making Gantt charts and tables in PowerPoint by populating relevant fields in the given sample slides. You can also add your own images, text and logos to further enhance the look of the given tables, as well as customize the color, graphics and layout of the tables in the sample slides. 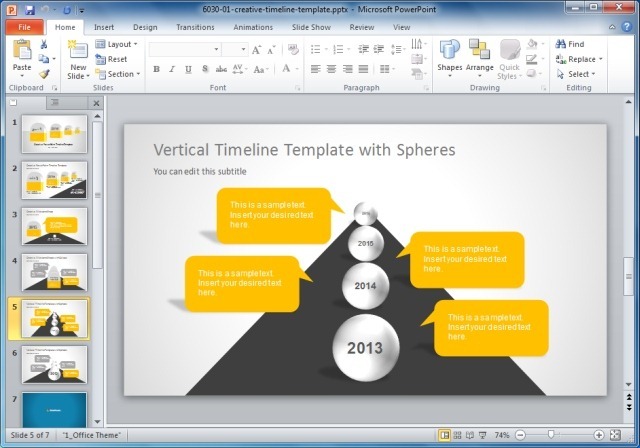 You can also use our Gantt chart templates for PowerPoint to create similar timelines. 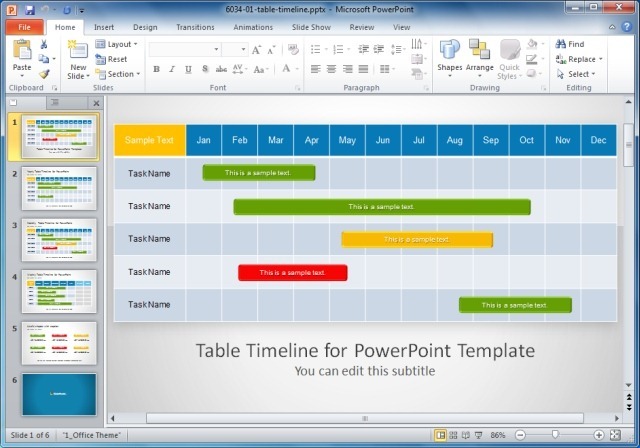 The project planning template for PowerPoint offers a weekly, monthly and yearly table in the form of different editable slides, as well as standalone captions and images that can be used across different slides to mark your tables. Making a Gantt chart from scratch can be a nightmare in PowerPoint and getting this right can be more than a handful. 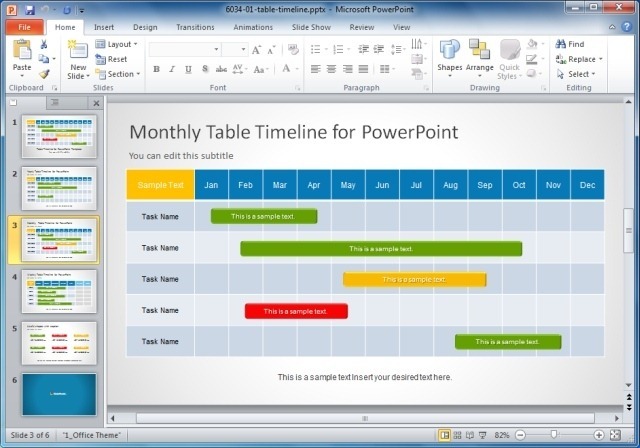 However, the Table Timeline PowerPoint Template makes it quite easy to create Gantt charts and tables for project planning in PowerPoint. 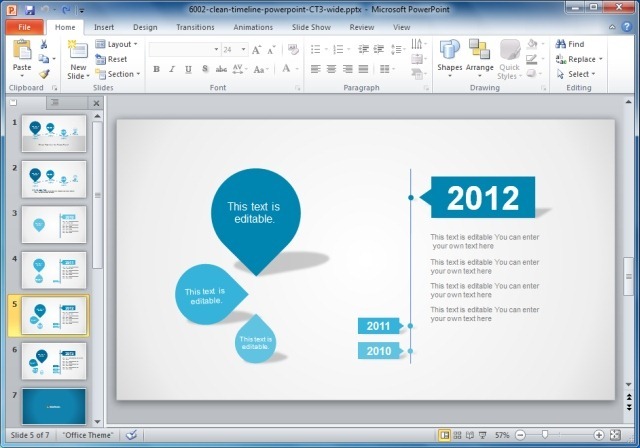 Tags: Business PowerPoint Templates, Diagram Templates, Gantt Charts, Project Planning, Templates, Timelines.